The energy from a high-pressure combustion reaction of propellant chemicals, usually a fuel and an oxidizing chemical, permits the heating of reaction product gases to very high temperatures (2500 to 4100°C or 4500 to 7400°F). These gases subsequently are expanded in a nozzle and accelerated to high velocities (1800 to 4300 m/sec or 5900 to 14,100 ft/sec). 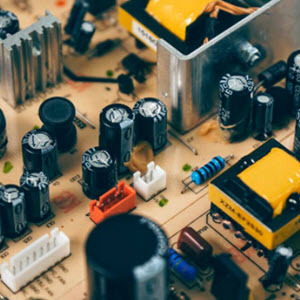 Since these gas temperatures are about twice the melting point of steel, it is necessary to cool or insulate all the surfaces that are exposed to the hot gases. According to the physical state of the propellant, there are several different classes of chemical rocket propulsion devices. Liquid propellant rocket engines use liquid propellants that are fed under pressure from tanks into a thrust chamber. * A typical pressure-fed liquid propellant rocket engine system is schematically shown in Fig. 1-3. The liquid bipropellant consists of a liquid oxidizer (e.g., liquid oxygen) and a liquid fuel (e.g., kerosene). A monopropellant is a single liquid that contains both oxidizing and fuel species; it decomposes into hot gas when properly catalyzed. A large turbopump-fed liquid propellant rocket engine is shown in Fig. 1-4. Gas pressure feed systems are used mostly on low thrust, low total energy propulsion systems, such as those used for attitude control of flying vehicles, often with more than one thrust chamber per engine. Pump-fed liquid rocket systems are used typically in applications with larger amounts of propellants and higher thrusts, such as in space launch vehicles. In the thrust chamber the propellants react to form hot gases, which in turn are accelerated and ejected at a high velocity through a supersonic nozzle, thereby imparting momentum to the vehicle. A nozzle has a converging section, a constriction or throat, and a conical or bell-shaped diverging section as further described in the next two chapters. Some liquid rocket engines permit repetitive operation and can be started and shut off at will. If the thrust chamber is provided with adequate cooling capacity, it is possible to run liquid rockets for periods exceeding 1 hour, dependent only on the propellant supply. A liquid rocket propulsion system requires several precision valves and a complex feed mechanism which includes propellant pumps, turbines, or a propellant-pressurizing device, and a relatively intricate combustion or thrust chamber. In solid propellant rocket motorsf the propellant to be burned is contained within the combustion chamber or case. The solid propellant charge is called the grain and it contains all the chemical elements for complete burning. Once ignited, it usually burns smoothly at a predetermined rate on all the exposed internal surfaces of the grain. Initial burning takes place at the internal surfaces of the cylinder perforation and the four slots. The internal cavity grows as propellant is burned and consumed. The resulting hot gas flows through the supersonic nozzle to impart thrust. Once ignited, the motor combustion proceeds in an orderly manner until essentially all the propellant has been consumed. There are no feed systems or valves (see Fig. 1-5). Liquid and solid propellants, and the propulsion systems that use them, are discussed in Chapters 6 to 10 and 11 to 14, respectively. Liquid and solid propellant rocket propulsion systems are compared in Chapter 17. *The term thrust chamber, used for the assembly of the injector, nozzle, and chamber, is preferred by several official agencies and therefore has been used in this book. However, other terms, such as thrust cylinder and combustor, are still used in the literature. For small spacecraft control rockets the term thruster is commonly used and this term will be used in some sections of this book. f Historically the word engine is used for a liquid propellant rocket propulsion system and the word motor is used for solid propellant rocket propulsion. They were developed originally by different groups. FIGURE 1-3. 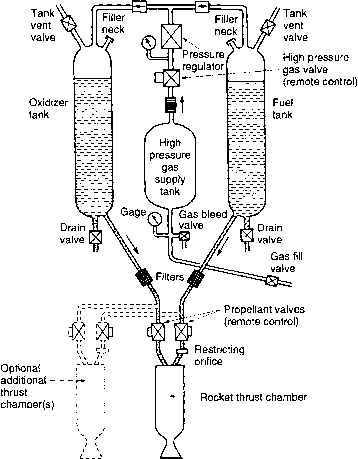 Schematic flow diagram of a liquid propellant rocket engine with a gas pressure feed system. The dashed lines show a second thrust chamber, but some engines have more than a dozen thrust chambers supplied by the same feed system. Also shown are components needed for start and stop, controlling tank pressure, filling propellants and pressurizing gas, draining or flushing out remaining propellants, tank pressure relief or venting, and several sensors. Gaseous propellant rocket engines use a stored high-pressure gas, such as air, nitrogen, or helium, as their working fluid or propellant. The stored gas requires relatively heavy tanks. These cold gas engines have been used on many early space vehicles as attitude control systems and some are still used today. Heating the gas by electrical energy or by combustion of certain mono-propellants improves the performance and this has often been called warm gas propellant rocket propulsion. FIGURE 1-4. 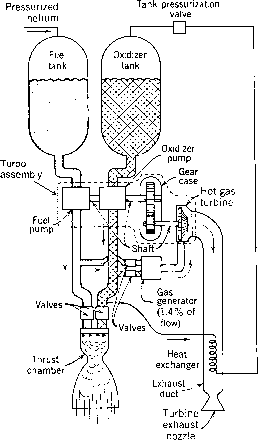 Simplified schematic diagram of one type of liquid propellant rocket engine with a turbopump feed system and a separate gas generator, which generates warm gas for driving the turbine. Not shown are components necessary for controlling the operation, filling, venting, draining, or flushing out propellants, filters or sensors. The turbopump assembly consists of two propellant pumps, a gear case, and a high speed turbine. Hybrid propellant rocket propulsion systems use both a liquid and a solid propellant. For example, if a liquid oxidizing agent is injected into a combustion chamber filled with solid carbonaceous fuel grain, the chemical reaction produces hot combustion gases (see Fig. 1-6). 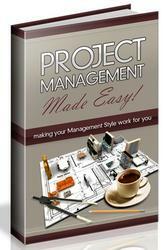 They are described further in Chapter 15. There are also chemical rocket propulsion combination systems that have both solid and liquid propellants. One example is a pressurized liquid propellant system that uses a solid propellant to generate hot gases for tank pressur-ization; flexible diaphragms are necessary to separate the hot gas and the reactive liquid propellant in the tank. FIGURE 1-5. Simplified perspective three-quarter section of a typical solid propellant rocket motor with the propellant grain bonded to the case and the insulation layer and with a conical exhaust nozzle. The cylindrical case with its forward and aft hemispherical domes form a pressure vessel to contain the combustion chamber pressure. Adapted with permission from Reference 11-1. What is use of fuel in the case of solid ,liquid ,gas flow chart? How does a solid rocket motor work? What is the propulsion chamber used for?